Kodi is one of the best ways to enjoy your locally-saved videos, live TV, and even video-on-demand content. The app is available on all major desktop and mobile operating systems, with the exception of iOS. If you want to install Kodi on iOS, you’ll need to use a not-so-simple workaround How to Install Kodi for iOS Without Jailbreaking Your iPad or iPhone How to Install Kodi for iOS Without Jailbreaking Your iPad or iPhone Kodi is one of the best ways to access live TV, and you don't need to jailbreak your device to enjoy free streaming content on your iPhone or iPad. Read More . What about Android? Using Kodi on your Android device is a two-part process. Firstly, you need to install the app. Secondly, you did you make some tweaks to make it Chromecast compatible. After all, nobody wants to watch Game of Thrones on a five-inch display, right? Let’s take a closer look at both steps. These days, it’s easier than ever to install Kodi on your Android device. It’s in the Google Play Store and can be downloaded like any other app. You can also download the APK file directly from Kodi’s website, but it won’t be able to automatically update itself like the Play Store version. Follow the step-by-step instructions below to prepare Kodi for casting over Chromecast. Download Kodi as detailed above. And download one of our recommended Android file explorers The 7 Best Free File Explorers for Android The 7 Best Free File Explorers for Android There are a bunch of file management and file exploring apps out there for Android, but these are the best. Read More . Set the file explorer to shown hidden files. Go to Downloads and copy the playercorefactory file. Go to Android > Data > org.xbmc.kodi > Files > .kodi > Userdata. Whenever you play a video in Kodi, choose LocalCast as the app and select your Chromecast as the destination. The video should start playing on your screen. While long-winded, the method described above is better than using screen mirroring in Google Home because it doesn’t require your phone screen to be on all the time, and is thus more battery friendly. 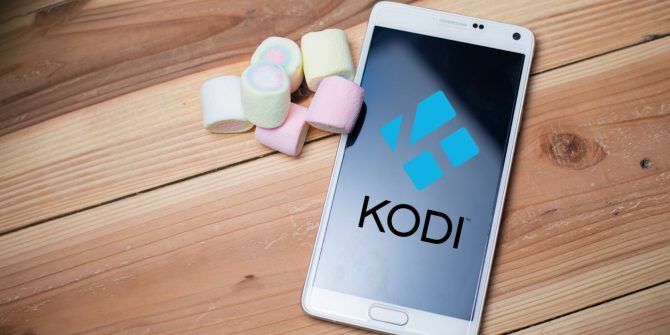 Do you use Kodi on Android? Share your tips in the comments below. Explore more about: Chromecast, Kodi. I appreciate your hidden How to Cast Kodi Over Chromecast, now I am day dreaming about the cellphones and tablets in our house that can be used for Kodi to our TV instead of laptop or TV boxes, thanks!